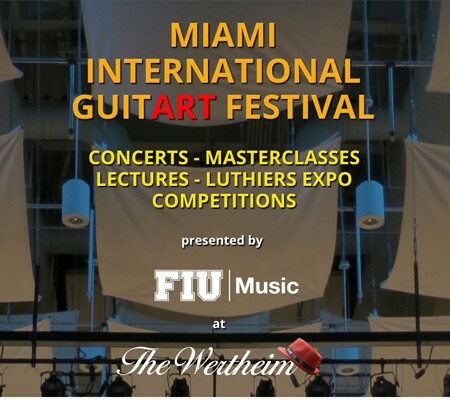 The Florida Turkish American Association presents a Benefit Concert for the Miami International GuitART Festival, featuring guitarists Mesut Ozgen, Celso Cano, Felipe Carvajal, and soprano Rebecca Benitez, as well as the FIU Miami Guitar Orchestra at the Florida Turkish Center (Türk Evi) in Fort Lauderdale on Saturday, November 21, 2015 at 6:30pm. A wide variety of music will be performed from classical, Turkish, Latin American, Spanish, and flamenco guitar repertoire. Admission is $35 for dinner and concert. Seats are limited, please RSVP by phone at 954-803-5496 or by email at contact@FTAA.com. The fundraiser registration will start at 6:30pm, followed by dinner at 7pm, and the concert will start at 8pm. Desserts will be served during the intermission and you will have a chance to meet the artists before and after the concert.